Peak Incorporated is a General Contractor specialized in Bonded, Public Site Work. We serve the Baltimore-Washington D.C. corridor of Maryland. 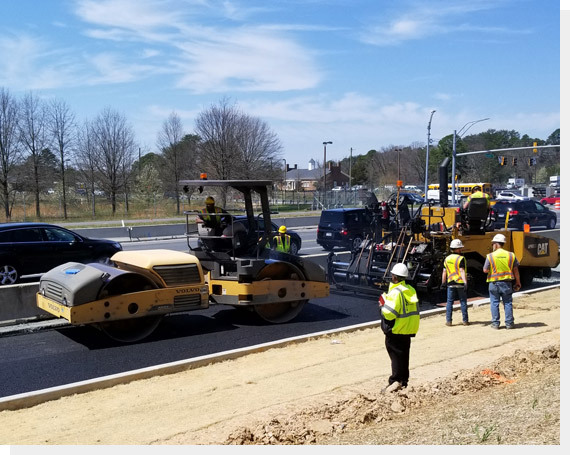 We also work in the Virginia suburbs of Washington, D.C. Our expertise is in the Construction and Management of Public Projects such as Road Construction, Complete Site Work for Public Schools, Public Parks, Athletic Fields, Hiker-Biker Trails, Site Utilities (Storm Drain, Water & Sewer), Storm Water Management, and Bio-Retention Areas. As a fully-bonded General Contractor, we submit bids to Public Agencies to obtain our work. These bids are then opened in public and awarded to the lowest responsible & responsive bidder. Our Projects typically range in size from $1 Million to $15 million. Peak Incorporated has been performing these types of projects since 1981. We take pride in the quality of work we perform, the employees that help make this possible, and the professional Project Management and Field Supervision that allows us to maintain our history of completing Projects safely and on time. © 2018, Peak Incorporated. All Rights Reserved.